The court denied Google's renewed motion to dismiss for improper venue because it had a regular and established place of business in the district through its Google Global Cache servers housed by third-party ISPs. "⁠[W]hile a virtual space or electronic communications alone are insufficient to denote a 'place' within the meaning of the statute, they may, with more, be indicative of the requirement having been met. . . . Here . . . there is more than 'merely' 'a virtual space or  electronic communications from one person to another.' The 'place' is specifically localized: a physical server occupying a physical space. Not only does Google exercise exclusive control . . . over the digital aspects of the GGC, Google exercises exclusive control over the physical server and the physical space within which the server is located and maintained. . . . [Defendant's] ownership of the server and its contents is absolute, as is [its] control over the server’s location once it is installed. . . . The statute does not require 'substantial' business or 'large' impact from the business being done at the place of business -- in order to lay proper venue in a judicial district, the statute simply requires that a regular and established place of business be present." The court denied plaintiff's motion for summary judgment that defendant was not entitled to lost profits damages for infringement of its interferon therapy patent on the ground that only defendant's subsidiary sold treatments in the U.S. "⁠[Defendant] explains that it sells [its products] to [its non-party wholly owned subsidiary] in return for payment of an intercompany purchase price. [The subsidiary] then sells those products to wholesalers and pharmacies. The lost profits that [defendant] is principally seeking in this case are on the intercompany sales from [defendant] to [the subsidiary]. . . . [T]he intrafamily, intercompany sales from [defendant] to [its subsidiary] can constitute 'sales' by [defendant] for lost profits purposes. [Plaintiff] has not appeared to have cited a blanket rule prohibiting the fact finder from considering such transactions in a lost profits analysis. In addition, construing the facts in the light most favorable to [defendant], the Court finds that [defendant] has produced enough evidence that a rational juror could conclude that the profits of [the subsidiary] flow inexorably to [defendant]." The ALJ denied respondents' motion for summary determination that complainants could not satisfy the economic prong of the domestic industry requirement because of their de minimis domestic investments. "The core of Respondents’ argument here is that the percentage of [complainant's] domestic investments in the patented products is too small in relation to its overall domestic investments (to say nothing of its worldwide investments) to be significant. Respondents assume that there is a level of relative investment below which it is impossible to 'credibly establish' significant investments. Respondents’ analysis fails to take proper account of the Commission’s guidance that determining satisfaction of the economic prong is a flexible exercise. . . . [I]nvestments made by a large entity may appear less significant when subjected to a strictly mathematical comparison with overall expenditures, but such investments may be deemed substantial nevertheless. . . . Respondents cite no authority for their contention that '⁠[complainants'] investments are simply too small,' and such an assertion contradicts well-established ITC precedent holding that a domestic industry is not determined by reference to absolute numbers." The court granted defendant's motion for summary judgment that it did not infringe plaintiff's chronic pain treatment patents because the post-trial use of the accused systems fell within the safe harbor provision of 35 U.S.C. § 271(e). "The use of the [two] systems in patients that have participated in the Accelerate trial fits within the safe harbor provision of 35 U.S.C. § 271(e), even after the patients have completed their participation in the trial. This use is 'reasonably related to the development and submission of information' to the FDA for device approval. The FDA specifically approved a trial plan that allowed participants to continue to receive treatment after results were collected. And international standards for medical research require trial sponsors allow participants to access studied treatments even after the trial's conclusion." The court granted defendant's motion to transfer for improper venue and rejected plaintiff's argument that In re Cray’s three-part definition for "regular and established place of business" should not apply to web-based businesses. "Plaintiff asks this Court to recognize the nature of Defendant’s business – facilitating communication over the web, in every state including Nevada – and to limit the application of [In re Cray, 871 F.3d 1355 (Fed. Cir. 2017)] to factual circumstances where physical products are involved. . . . The Court finds, however, that the key inquiry is not whether physical objects are involved, but rather whether the public has access to the defendant corporation through an employee or office located in the district where a suit is brought or if the public directly accesses the services of defendant through a location in the respective forum. . . . [T]he bulk of the defendant’s employees, product development, and overall operations are located in San Francisco, and that it does not own or lease any buildings in this district, it has no Nevada phone numbers or addresses listed for its operations, and it stores no inventory or data in Nevada. These facts demonstrate that Defendant maintains no place of business in Nevada, much less one that is both regular and established." The court denied defendant's motion to dismiss plaintiff's declaratory judgment claim for lack of an actual case or controversy. "⁠[Defendant] represented to the [PTO] that [plaintiff] was copying the product for which it sought a patent. . . . On its own, [defendant's] pre-issuance conduct might not be enough to make this a real and immediate controversy, but its alleged statements in the marketplace suffice to make it so. [Defendant] told the two companies’ overlapping customer base that [plaintiff] had copied its product. . . . Acknowledging that this is a close question, the Court takes guidance from the Federal Circuit’s observation that the purpose of the Declaratory Judgment Act is to 'obviate,' among other problems, 'extra-judicial patent enforcement with scare-the-customer-and-run tactics.' [Plaintiff's] allegations suggest something like those tactics was afoot here." The court ordered the parties and their counsel to show cause why they should not be sanctioned under Rule 11, Rule 16, 28 U.S.C. § 1927, or the court’s inherent power for their attempts to preserve certain claim construction disputes until after the court's claim construction procedure. "Unlike promises and pie crust, the Rules and Procedures of this Court are not meant to be broken, nor is their breaking to be ignored. . . . [Defendant's] Motion demonstrates a serious disregard for this Court’s Rules, Orders, and its authority to control its own docket. . . . [T]he Parties appear to presumptively require the Court accede to their unilateral decision to brief only a subset of the claim terms and then present other terms at a second claim construction hearing when convenient. . . . The Court will countenance neither the Parties’ unilateral actions which it details herein nor [defendant's] attempt to use the perceived sword of [O2 Micro Int’l, Ltd. v. Beyond Innovation Tech. Co., 521 F.3d 1351, 1362 (Fed. Cir. 2008)] to essentially hijack this Court’s claim construction process and its prerogative to manage its own cases following such unilateral action. . . . [Defendant's] thinly veiled threats of reversal on appeal are offensive and contrary to case law." The court granted defendants' motion for summary judgment that they did not willfully infringe plaintiff's winch system patent because plaintiff presented insufficient evidence of knowledge through the knowledge of defendants' outside prosecution counsel. "⁠[T]he only correspondence between [outside counsel] and [defendants] regarding the [patent-in-suit] lends no support to Plaintiff's view that there is 'extensive evidence of knowledge' in the record . . . . At most, the emails are fairly read as providing [defendants] with notice of the [patent's] existence. However, [counsel] clearly advised [defendants] against further action with regard to the [patent]. Perhaps [defendants] should have looked into the matter further, against the advice of counsel, and sought a second opinion. Nevertheless, there being no evidence that further action was taken, willfulness cannot be established. . . . Plaintiff devotes a significant portion of its brief to the argument that whatever knowledge [counsel] had of the [patent-in-suit] should be imputed to [defendant] based on an agency-principal theory. Plaintiff has not brought to the Court's attention a single case holding that knowledge from outside legal counsel is imputable to a client corporation for purposes of willful patent infringement." The court denied the parties' stipulated motion to vacate an earlier order partially granting defendant's motion to dismiss for failure to state a claim even though the parties' settlement was contingent on vacatur. "I find that the public interest would be disserved by vacatur. . . . Here, the [prior] Order specifically held that the [patent-in-suit] was expired and unenforceable. That holding has the potential to 'create collateral estoppel in favor of nonparties whose rights are based on statutory enactments adopted for their protection,' namely, the time bar provisions embodied in 35 U.S.C. § 154(a)(2). Vacating the [prior] Order has the potential to 'prolong the life of' an expired patent and permit its continued enforcement against nonparties. I decline to do so." The court granted plaintiffs' motion for a preliminary injunction and denied a retailer defendant's request to sell its remaining inventory of the accused product. "⁠Defendants have launched a new product at the beginning of each summer season for the last three years. Defendants have continued selling their product throughout the entire summer season before being enjoined by this Court. Then, each year, following issuance of the injunction, Defendants have released a slightly altered product at the beginning of the next summer season. . . . [T]he Court sees no reason to grant [the retailer's] request [to sell off its remaining inventory]. Defendants summarily repeat their invalidity and non-infringement arguments and argue that [the defendant] purchased its current inventory in 'good faith,' stating that '⁠[t]he fact that the [C]ourt has found that the PVC cap . . . is an elastic fastener is, at a minimum, heavily debatable.' The Court is unaware of -- and Defendants fail to cite to -- any authority that permits an exception to a preliminary injunction on a showing of 'good faith.'" The court granted in part plaintiff's requested fees under 35 U.S.C. § 285 because defendant maintained its invalidity defense solely to extend the time of an ITC preclusion order. "⁠[T]he ITC exclusion bar relating to Claims 8 and 19 remains in effect, even though the independent claims upon which these dependent claims rest are invalid. . . . Because the Court finds that [defendant's] actions regarding the issue of obviousness on Claims 8 and 19 were not made in good faith, but as an attempt to extend the time of the ITC preclusion order on these two claims directed against [plaintiff], the Court finds this portion of the case to be sufficiently exceptional to warrant awarding [plaintiff] one half of the attorneys' fees incurred during the week of the trial (to reflect [plaintiff's] attorney time spent on the issue of invalidity of [defendant's] patent), and all fees of [plaintiff's expert], relevant to the issue of invalidity of claims 8 and 19 of [defendant's] patent. Although there could perhaps be justification for awarding [plaintiff's] expenses as far back as the CAFC decision, the Court limits the sanctions to one half of the attorneys' fees for [two witnesses] incurred during the trial itself and all of [its expert's] fees related to the issue of invalidity. . . ."
The court granted defendant's motion to dismiss for improper venue because plaintiff provided no authority for the court to exercise pendant venue over defendant to further judicial economy in a two-defendant action. "Plaintiff argues that judicial economy considerations favor the Court’s exercise of pendent venue, as granting [defendant's] motion would effectively bifurcate this matter into two separate actions. . . . Plaintiff fails to present any authority, binding or otherwise, suggesting that courts after [TC Heartland LLC v. Kraft Foods Grp. Brands LLC, 137 S. Ct. 1514 (2017)] exercise pendent venue over third parties in patent infringement actions. . . . Plaintiff asserts that declining pendent venue over its claims against [defendant] would waste time and resources by bifurcating this matter into two separate suits on 'opposite sides of the country.' But, at this stage, Plaintiff’s argument is pure conjecture: Plaintiff does not claim, nor does it appear, that it has initiated this separate suit." The court granted in part plaintiffs' motion for discovery sanctions and sanctioned defendant $1.5 million after defendant disclosed corrected stability dissolution testing data during a bench trial. "With two days of trial remaining, [defendant] revealed that its stability dissolution testing data was incorrect. . . . [Defendant's] decision to withhold the correct data caused a delay in trial, extra expenses for [plaintiff], and a drain in judicial resources. . . . ⁠[Plaintiff] is not entitled to all the fees associated with time spent analyzing [defendant's] ANDA stability and dissolution data. [Plaintiff] is only entitled to the costs it incurred reviewing the incorrect dissolution data. . . . [Plaintiff] is entitled to the costs associated with the deposition of current and former [employees of defendant's manufacturer], as well as time spent researching the relationship between [the manufacturer] and [defendant] and the ownership of [the manufacturer], because these tasks were taken in order to determine who had knowledge of the incorrect dissolution data. But for the misconduct, [plaintiff] would not have engaged in the aforementioned tasks. . . . [Plaintiff] is entitled to all fees and costs associated with [its expert] following the revelation of the misconduct. As a result of the misconduct, [his] expert report had to be amended in light of the corrected data." The court granted defendant's motion to dismiss for improper venue because defendant did not have a regular and established place of business by placing four employees at a university lab in the district. "The Court believes that . . . the educational-business collaboration at best may be interpreted as quasi-, and/or very-early-stage, research and development, the results of which are a joint product of the University and Defendant. . . . The Court seriously doubts whether such esoteric and preliminary endeavors may qualify as 'business' of Defendant. . . . Defendant has put forth unrefuted evidence establishing that [the university] owns and controls the facility; Defendant’s employees are designated as visitors; funding provided by Defendant to [the university] covers fellowship-tuition and research support, not the cost of housing the employees; signage identifies the lab as a [university] research center, with funding by Defendant; and the lab is neither publicly advertised nor internally classified as Defendant’s facility." The court granted plaintiff's motion in limine under FRE 403 to preclude defendant from telling the jury that damages could be enhanced or trebled at a willfulness retrial and rejected defendant's argument that its supplier's indemnification agreement should similarly be excluded. "No party may discuss the potential that the Court may enhance the damages awarded by the previous jury if the jury in the second trial makes a finding of willfulness. [Defendant] also argues that [its supplier's] indemnification falls within this same category and must also be excluded. The Court disagrees. Unlike treble damages, which is irrelevant to the question before the jury on willfulness, [the supplier's] indemnification agreement is relevant to [defendant's] alleged willfulness. Moreover, any minimal prejudicial effect is outweighed by its substantial probative value." Following a dismissal for lack of patentable subject matter, the court granted defendants' motions for attorney fees under 35 U.S.C. § 285 because plaintiff's litigation positions were exceptionally meritless. "⁠[Plaintiff] filed its complaint in the face of significant post-Alice precedent. Here, [plaintiff] chose to file more than a dozen lawsuits asserting four ineligible patents and, in so filing, ignored substantial precedent dismissing analogous data manipulation patent claims. . . . Although issued patents are presumed valid, they are not presumed eligible under Section 101. . . . [Plaintiff] cannot hide behind its own refusal to analyze its patents critically. Lawyers routinely evaluate the viability of contracts and strength of claims and thereupon counsel clients to act responsibly. To do otherwise unnecessarily burdens to the courts and inflicts significant costs to the opposing parties." The court denied plaintiff's motion for summary judgment that its wireless communication patent was not invalid for improper inventorship on the grounds that defendant could not identify a purported inventor. "Plaintiff has failed to cite case law that explicitly requires the identification of a putative inventor to establish a genuine issue of material fact with respect to improper inventorship. At best, Plaintiff relies on cases that implicitly require the identification of a putative inventor when considering the merits of an improper inventorship defense. . . . Defendant points to [a third party working group member's] e-mail summary discussing the BSR format selection criteria and [defendant's] expert testimony that the e-mail summary contains the subject matter of the [patent-in-suit]. This calls into question whether [the named inventor] was the sole inventor of the subject matter of the claimed invention." The district judge overruled defendants' objection to the magistrate judge's order denying defendants' motion to compel the production of documents regarding plaintiff's financial relationship with its subsidiary. "The Court finds it prudent at this stage to make clear its expectations going forward, based on the Court’s recent experience with the inexorable-flow theory of lost-profits damages in patent cases. . . . [Plaintiff] cannot rely merely on its ownership and control of [its subsidiary] (or on [its subsidiary's] tax status) to prove that [the subsidiary's] profits flow inexorably to [plaintiff]. Additionally, any expert opinion that [the subsidiary's] profits flow inexorably to [plaintiff] must be based on more than [its] ownership and control of [the subsidiary]. . . . The Court also expects [plaintiff's] damages expert’s opinions -- including any opinion that [the subsidiary's's] profits flow inexorably to [plaintiff] -- to be based on sufficient facts or data, according to the standard articulated above and without reliance on any unproduced documents." The court granted defendant's motion to strike plaintiff's infringement contentions because plaintiff failed to sufficiently identify the accused instrumentalities. "⁠[Plaintiff] merely asserts in a footnote for each claim chart that the dozens of accused products 'operate in substantially the same manner with respect to the accused functionality.' This conclusory assertion is insufficient. '⁠[I]n order to rely on a claim that one accused product represents another for purposes of Rule 3–1(c), a patentee must do more than state as much. A patentee must state how.'. . . [Defendant] argues that '⁠[plaintiff's] broad categorical identifications and improper use of open-ended language ('e.g.') should be stricken, and [its] allegations should be limited to the products specifically identified.' This order agrees." The court granted in part defendant's former employee's motion for a protective order precluding his deposition under the apex doctrine. "⁠[I]f being super-busy and important immunized you from being deposed, there might not be any depositions in Silicon Valley. . . . At bottom, I am not persuaded that the [former employee's] deposition is proportional to the needs of the case at this moment. . . . [Plaintiff] should first take the depositions of the relevant [defendant] employees with knowledge of Project Loon. If, after having substantially completed [defendant's] depositions, [plaintiff] can show that it still has information gaps that it needs [his] testimony to fill, then it may renew its request to depose [him]. Barring further court order, [plaintiff's] portion of the [former employee's] deposition will be capped at 90 minutes." Following a jury trial, a bench trial, appeal, and remand, the court denied defendant's motion to transfer for improper venue because defendant waived its venue defense through litigation conduct. "⁠During the pendency of [defendant's] appeal to the Federal Circuit, the United States Supreme Court issued its decision in TC Heartland LLC v. Kraft Foods Group Brands LLC, 137 S. Ct. 1514 (2017) . . . . [T]he court finds it inarguable that [defendant] wanted to wait for the outcome of the Federal Circuit appeal prior to raising its venue objections. . . . [Defendant] could have requested an indicative ruling from the district court under Fed. R. Civ. P. 62.1 during the pendency of the appeal. . . . This case has been through dispositive motion practice, jury trial, bench trial, post-trial motions, appeal and remand. It has been pending for more than eight years. In fact, this case predates every filing in TC Heartland, including the original pleadings that gave rise to the Supreme Court’s ultimate change of law. . . . [T]he age and breadth of this litigation would pose a novel -- and in this court’s view, unreasonable -- toll on judicial economy when compared with maintaining the case here." The court granted defendant's concurrent motions for attorney fees under 35 U.S.C. § 285 and for sanctions under Rule 11 and awarded $222,937 jointly and severally against plaintiff and plaintiff's attorneys. "The conduct of both [plaintiff] and its lawyers in this litigation was plainly irresponsible and frivolous. . . . [E]ven though [defendant] gave [plaintiff] a [defendant] engineer's declaration, an invitation to inspect the source code at [its] offices, and the bill of materials for an accused device, [plaintiff] and its lawyers did not amend their infringement contentions (or even inspect the source code until much later). Instead, [plaintiff] boldly continued to assert its implausible (and, as the unrebutted evidence at summary judgment showed, impossible) theories of infringement. . . . Moreover, [plaintiff] failed to conduct an adequate investigation into the plausibility of its claims by refusing to do a teardown of the devices -- even after being informed that the devices did not contain or use the sensors as [plaintiff] alleged." The court granted in part defendant's motion to compel the production of billing records from plaintiff's prosecution counsel because some discovery was relevant to defendant's prosecution laches and inequitable conduct defenses. "⁠[N]on-privileged billing records that regard her work on the patents alleged in this claim are relevant to the extent they demonstrate when each particular prosecution matter was opened, how long it took between the initial opening and when the application was first filed, what activities occurred during prosecution of each application, when each activity occurred, and how much time was spent on the activity. . . . The annual amount of compensation [counsel] received from [plaintiff] to work on the patents at issue [the counterclaims], could raise an inference of [her] financial motive to deceive. [Defendant] is entitled to know how much annual compensation [she] received to work on these two patents." The magistrate judge recommended denying defendant's motion to dismiss or transfer for improper venue and rejected defendant's argument that it did not waive its objection to venue because the objection was not available until the court dismissed another defendant. "The holding of [TC Heartland LLC v. Kraft Food Grp. Brands LLC, 137 S. Ct. 1514 (2017)] applied to domestic corporations. At the time that TC Heartland issued, then, regardless of whether the claims against the foreign defendant would ultimately be rejuvenated by the District Court, it should have been clear to [defendant] that venue in this District was not proper as to it. And so there is no reason why the venue defense was not 'available' to [defendant] until [the district judge] affirmed the Court's motion to dismiss R&R in December 2017." The court granted plaintiff's motion to compel trial counsel's pre-suit communications and work product related to defendant's opinion of counsel defense that defendant withheld as privileged. "⁠[Trial counsel's] negotiations on Defendant’s behalf pre-suit sought to avoid the adversarial process and engage in voluntary alternative dispute resolution. The relevant circumstances concerning the disclosure Plaintiff seeks -- [counsel's] pre-suit communications and work -- indicate that [counsel's] function was more analogous to that of advice or opinion counsel than trial counsel. . . . [Counsel] was retained for a period from 2010–2011 and again from 2015–2016. During this time, Defendant was regularly communicating with Plaintiff regarding Plaintiff’s [patent] and accusations of infringement against Defendant. . . . It would be illogical to shield from discovery the very conduct that is dispositive of whether infringement was committed willfully. . . . Depending upon the advice Defendant received from [trial counsel] regarding Defendant’s alleged infringement activities, it may or may not have been reasonable for Defendant to rely on [opinion counsel's] exculpatory opinion." Following summary judgment of equitable estoppel, the court denied defendant's motion for attorney fees under 35 U.S.C. § 285 because plaintiff's litigation positions were not unreasonable. "While [plaintiff's] reliance on [Petrella v. Metro-Goldwyn-Mayer, Inc., 134 S. Ct. 1962 (2014)] may have been misplaced, its position that the conduct described in this instance does not qualify as misleading was not objectively unreasonable. While several Federal Circuit cases have addressed the issue, there is no clear holding on when silence, without affirmative misrepresentations, can be sufficiently misleading as to provide a basis for equitable estoppel. In reaching its decision, the Court had to analyze several Federal Circuit decisions on the question and analogize the facts at issue to these cases. Reasonable minds could have differed on the outcome." The court denied plaintiffs' motion to reconsider an earlier order granting defendant's motion to strike opinions from plaintiffs' invalidity expert that were submitted in support of summary judgment briefing because of the substantial unfair prejudice to defendant. "This unfair prejudice goes beyond merely the time and expense of taking additional discovery regarding [the undisclosed reference] and supplementing [an expert's] rebuttal report. The court’s exclusion of [plaintiffs' expert's] testimony on the undisclosed invalidity theories has shaped the landscape of the case, on which both parties have relied in their preparations for trial. . . . For example, [defendant] argues that it made the strategic decision to dismiss certain infringement claims with prejudice to streamline the case in reliance on the court’s Ruling on Summary Judgment, including as regards to the [previously excluded] invalidity theories. . . . [A]ttorneys make deliberate decisions about trial strategy based on the court’s prior Rulings and the posture of the case at the time. . . . [T]o unwind the court’s prior Ruling at this stage in the case without also unwinding a number of decisions made since then would unfairly prejudice [defendant]." The court denied defendants' motion to dismiss or transfer for improper venue because defendants waived their venue challenge through their litigation conduct. "⁠[D]uring the seven months after the [TC Heartland LLC v. Kraft Foods Grp. Brands LLC, 137 S. Ct. 1514 (2017)] decision, [defendants] were actively litigating this case in this District. . . . [M]otions for summary judgment were denied. . . . A Claim Construction Order was issued shortly thereafter. . . . [Defendants] also filed two new motions for summary judgment before filing this Motion. . . . This procedural history reflects the type of 'tactical wait-and-see bypassing of an opportunity to declare a desire for a different forum' expressly identified in [In re Micron Tech., Inc., 875 F.3d 1091 (Fed. Cir. 2017)] as a paradigm for when an objection to venue could be waived notwithstanding the new law as to Rule 12(h). . . . TC Heartland changed the law with respect to the definition of corporate residence for the purposes of patent venue. However, it did not change the underlying prudential framework for the assessment of challenges to venue like the one raised here." The court granted defendant's motion to transfer for improper venue and rejected plaintiff's argument that defendant waived its venue challenge. "Plaintiff does not appear to challenge the contention that venue in this Court is improper. Rather, Plaintiff argues that . . . Defendant forfeited its privilege to challenge venue by waiting nearly seven months after the [TC Heartland LLC v. Kraft Foods Grp. Brands LLC, 137 S. Ct. 1514 (2017)] decision to file its motion. . . . [D]espite Defendant’s delay in filing the instant motion, Plaintiff cites no undue prejudice caused by the delay; nor can the Court discern any such prejudice to Plaintiff. Specifically, there has been no additional motion practice, an initial pretrial conference has not yet been scheduled, discovery has not yet commenced, and no trial date has yet been set." The court granted plaintiff's motion to compel the production of an email with a third party manufacturer that defendants clawed back under the common interest privilege because the manufacturer was not represented by counsel. "There is support for the position that all parties must be represented by counsel for the common interest exception to apply. . . . The requirement that each party to a common interest arrangement have an attorney also comports with the intent behind the common interest privilege, to permit attorneys to develop a joint legal strategy. . . . While this Court was not able to locate any Ninth Circuit precedent that explicitly requires both parties be represented by separate counsel, nor was there any precedent that extended the benefits of the common interest exception to the attorney client privilege when the disclosure at issue involved an unrepresented third-party employed by a separate entity." Following the Federal Circuit's affirmance of the jury verdict, the magistrate judge recommended granting plaintiff's motion to enforce liability on defendant's $68 million supersedeas bond and rejected defendant's request to continue the stay pending its certiorari petition to the Supreme Court. "⁠[Rule 62(d)] does not specify when a stay under that provision expires or terminates. The great weight of authority regarding this issue, however, suggests that the Rule 62(d) stay expires when a circuit court issues its mandate. . . . I have found no authority to support [defendant's position] that district courts retain inherent authority to issue a stay of the judgment of a circuit court of appeals pending a petition for certiorari review to the Supreme Court. . . . [B]ecause the Federal Circuit has issued its final judgment and mandate affirming the . . . judgment in [plaintiff's] favor, the district court is obligated to enforce the Federal Circuit's mandate." The court granted defendant's motion to dismiss because the asserted claims of plaintiff’s wireless remote control patent encompassed unpatentable subject matter and found that the claims were directed toward an abstract idea. "The court concludes that because the asserted claims are directed towards the result -- and therefore, abstract idea -- of wirelessly controlling remote devices, they are patent-ineligible. The specification refers to '⁠[a] method for controlling a remote device over a wireless connection.' 'underscor[ing] that [the asserted claims are] directed to an abstract concept.' More importantly, the asserted claims provide only for generic processes and components to achieve that result. . . . And although the Patent purports to solve a number of problems with remotely controlling devices, it does not solve those problems through an improvement in any specific technology." The magistrate judge recommended granting plaintiff's motion for a preliminary injunction prohibiting sales of the accused fire trucks and found that plaintiff established irreparable harm through lost sales of non-patented products. "The plaintiff, however, has shown by concrete examples, that when it sells its patent-covered quint to a fire department, there is a reasonable likelihood that the fire department will buy other fire apparatus as well. . . . If the defendants sell their allegedly infringing quints to customers, the plaintiffs opportunity to make sales of other apparatus to those customers in all likelihood will be lost. Moreover, there is no apparent way to quantify the value of those lost sales. Therefore, if the defendants can sell infringing quints, the plaintiff will suffer irreparable harm due to lost sales of other apparatus." Following the PTAB’s supplemental institution decision in light of SAS Inst., Inc. v. Iancu, ___ U.S. ___, 138 S. Ct. 1348, 1352–54 (2018) instituting inter partes review of all challenged claims of the patents-in-suit, the court granted defendants’ motion to stay because the potential for simplification of issues, the stage of the litigation, and lack of prejudice to plaintiff weighed in favor of a stay. “The PTAB issued the Supplemental Orders to review [new claims of two patents-in-suit] only because the SAS Institute decision dictates that result—not because [defendants] had demonstrated a reasonable likelihood that those claims were unpatentable on the challenged grounds. To the contrary, PTAB initially found that [defendants’] patentability challenges were lacking. . . . In the absence of a PTAB decision finding a reasonable likelihood that a claim is unpatentable, the question of whether a stay will simplify issues is not so clear. . . . Yet and still, staying [the case for the newly instituted claims] would have the effect of removing them from this case. It is hard to see how this result does not simplify the case. . . . [T]he developments since I last analyzed [the stage of litigation factor] do not alter the conclusion that ‘this case is not so far advanced that a stay would be improper.’ . . . Granting a stay on [the newly instituted claims] would leave [plaintiff] with only four remaining patents. But [plaintiff] does not contend that this amounts to any cognizable prejudice. Following a jury trial but prior to the entry of judgment, the court sua sponte stayed plaintiff's patent infringement action pending inter partes review after the PTAB reinstituted review in response to the Supreme Court's decision in SAS Institute Inc. v. Iancu, 138 S. Ct. 1348 (2018). "A jury returned a verdict in [plaintiff's] favor, finding that the asserted claims of the [patent-in-suit] are not invalid and that [defendants] willfully infringed the asserted claims. . . . Following the jury trial but prior to entry of final judgment . . . the Supreme Court held that the PTAB must address every claim a petitioner has challenged. Because the PTAB did not previously address every claim challenged by [defendants] -- specifically, the claims at issue in this litigation -- the PTAB modified its institution decision 'to include review of all challenged claims and all ground presented in the Petition.'. . . The Parties are instructed to notify the Court of the PTAB’s decision within five days of such decision and the Court shall re-open the matter. " The court denied defendants' motion to compel additional discovery regarding plaintiff's litigation funding because defendants failed to establish relevance or proportionality. "⁠[D]efendants move to compel production of Board minutes that discuss the potential funding, and move to complete the deposition of [plaintiff's board member], who declined to answer questions about the potential funding. . . . [Plaintiff] contests the relevance of the information requested and proffers an important piece of information: it does not have any third-party litigation financing. The Court is not persuaded that the materials sought are relevant to any party’s claim or defense and 'proportional to the needs of the case.' Even if litigation funding were relevant (which is contestable), potential litigation funding is a side issue at best. The Court finds that there is much discovery that would be more important in resolving the merits of this case. And the burden of responding would outweigh its likely benefit to defendants." The court denied defendant's motion to reconsider an earlier order granting plaintiff's motion for summary judgment that the asserted claims of its pain treatment patents did not encompass unpatentable subject matter. "The fact that certain of the claims do not recite specific dosage amounts and frequencies of administration is not fatal to the patent eligibility of the 'PK-only' claims under 35 U.S.C. § 101. A claim to a method of treating an illness is typically more than an expression of a natural law; if it were otherwise, pharmaceutical patents would be hard to come by, as most methods of treatment using pharmaceuticals consist simply of the administration of a drug that affects the human body in a manner that is dictated by laws of nature. . . . The claims in all of the claims asserted in this action . . . are 'treatment steps' -- that is, directed at a new and useful method of treating pain in a certain population of patients using a specific set of hydrocodone bitartrate formulations. For that reason, the Court views the claims as not directed to unpatentable subject matter by claiming patent protection for a natural law." The court denied plaintiff's motion to lift a stipulated stay pending inter partes review because the PTAB had not resolved two uninstituted claims following the Supreme Court's decision in SAS Institute, Inc. v. Iancu, 138 S. Ct. 1348 (2018). "Although the PTAB denied institution of IPR proceedings with respect to claims 5 and 10, and issued a final written decision on all remaining claims, the Supreme Court recently ruled that the PTAB must issue a final written decision 'with respect to the patentability of any patent claim challenged,' and 'in this context, as in so many others, "any" means "every."' For this reason, the Federal Circuit remanded [defendant's] appeal to the PTAB for issuance of a final decision regarding the patentability of claims 5 and 10. Consequently, the PTAB has yet to resolve the patentability of all challenged claims in the pending IPR proceeding, and the terms of the parties' stipulation have not been satisfied." The court granted plaintiff's motion to strike report of defendant's contract expert regarding whether defendant sold anticipating prior art before the critical date because the testimony was unhelpful. "There is little evidence in the expert report that [the expert] has brought any of his expertise to this exercise. . . . The [expert] indicates no particular expertise in review of purchase orders, invoices, product shipping records, or the like. He indicates no particular expertise in interpreting what the fact witnesses who have been deposed have said. He indicates no reliance on anything relevant to the particular industry. In my opinion, any reasonably literate English-speaker could apply the legal principles to the factual record on the relevant sale and offer to sell issues. . . . The only specialized knowledge that [the expert] has is the same thing -- contract law -- which in our system is my responsibility. For the most part, his expert report outlines the closing argument one might expect Defendant's lawyer to make after the jury has heard the underlying testimony and seen the underlying documents." Following a dismissal for failure to prosecute after six years of litigation, the court granted defendants' motions for attorney fees under 35 U.S.C. § 285 because plaintiff's litigation tactics were unreasonable. "⁠[P]laintiff filed eight separate actions in this district against parties who turned out to be [the software developer defendant's] customers. None of those cases were marked as related. . . . [A week later] plaintiff filed nine more separate actions in this district, again against parties who turned out to be [the developer's] customers. Again, none of these cases were marked as related. . . . [B]efore any of the defendants had been served -- plaintiff voluntarily dismissed every case that had not been assigned to [one judge] except [for two cases]. Then . . . plaintiff filed five more cases in this district against four more of [the developer's] customers and against [the developer] itself. This time, plaintiff marked these cases as related to each other and related to [a case] which had been assigned to [that judge]. . . . The Court therefore finds that plaintiff deliberately . . . waited to file its case against [the developer] itself until it could mark that case as related to one in front of its preferred judge. That conduct, under the circumstances, is serious misbehavior." The court granted defendant's alternative motion to transfer for improper venue because defendant did not have a regular and established place of business in the district through its "necessary" distributor. "⁠[T]here is abundant case law from other district courts holding that a distributor’s place of business cannot establish venue for its supplier. Citing no case law, [plaintiff] responds that this uniform line of cases is distinguishable because 'none of them involve the case where the use of a distributor is necessary to conduct the business of the defendant.' However, business necessity is insufficient to impute [a distributor's] place of business to [defendant]. . . . The purpose of the statutory limits on venue in the patent venue statute was to protect defendants from being sued in forums distant from their place of incorporation or residence. [Plaintiff's] proposed 'necessary distributor' rule would largely defeat that policy; indeed, given that smaller manufacturers are more likely to need to rely on distributors than larger ones, [plaintiff's] rule would have the perverse effect of subjecting smaller corporations more subject to suit in distant forums than larger ones." The court granted plaintiff's motion for enhanced damages against a defaulting defendant because defendant's motivation for harm, lack of a good faith defense, lack of remedial action, duration of misconduct, and lack of closeness of the case favored treble damages. "⁠[P]rior to joining [defendant], [defendant's chairman] was employed at [company related to plaintiff], where he gained familiarity with [plaintiff's] intellectual property rights. . . and, prior to initiating this action, [plaintiff] sent [defendant] a letter notifying it of the [patent-in-suit] and [defendant's] infringing actions. Those facts, taken together with the fact that [the parties] are direct competitors, support an inference that [defendant] deliberately infringed the [patent], with the purpose of harming [plaintiff's] business. . . . [T]here is no evidence in the record to support a finding that [defendant] investigated the scope of the [patent] and formed a good-faith belief that it was invalid or that it was not infringed. . . . [T]he record is devoid of any evidence that [defendant] took remedial actions. . . . [Defendant] sold its infringing product [for almost a year]. Finally, because default judgment has already been entered as to [defendant's] liability for infringement, the closeness factor supports enhanced damages." The court denied plaintiff's motion to strike portions of the rebuttal report of defendants' damages expert because his theory capping the value of a patent-in-suit based on prior licensing negotiations was not unreliable. "Plaintiff complains about [the expert's] conclusion that, because [a technology transfer company] offered to sell the [patent-in-suit] to [a third party] for $100 million in December 2011 and to license the patent for $70 million in March 2012, the $30 million difference means the value of [the patent] to all other potential licensees cannot be more than 30% of the value of the patent. . . . That the Federal Circuit may not have endorsed a damages theory does not make such a theory incorrect or unreliable -- it simply means it’s untested by an appellate court. Also, although Plaintiff may disagree with [the expert's] ultimate conclusion and reasoning, he clearly considered the passage of three years after [the transfer company's] negotiations with [the third party] in his analysis." The court denied defendant's motion to dismiss or transfer for improper venue. "While it was previously unclear whether § 1400(b) was controlling for foreign defendants involved in patent infringement suits, the Federal Circuit recently reaffirmed the 'long-established rule that suits against aliens are wholly outside the operation of all the federal venue laws, general and special.' Thus, a foreign defendant may be sued in any judicial district under 28 U.S.C. § 1391(c)(3). . . . Here, it is uncontested that the sole defendant in the case is a Swedish corporation. In light of this recent Federal Circuit case, the Court finds that venue is proper over [defendant] in this District." The court denied plaintiff's motion in limine to exclude a YouTube video as a prior art reference on the ground that it was not sufficiently accessible. "Although the Federal Circuit has not explicitly ruled that YouTube videos qualify, 'the statutory phrase "printed publication" has been interpreted to give effect to ongoing advances in the technologies of data storage, retrieval, and dissemination.'. . . Plaintiff then notes that the [video] reference was uploaded on a channel which 'was not associated with a trade group or website well-known to the relevant community' and which no person would have a reason to search for. . . . A familiar user would know that you don’t need to search for a particular channel to watch the videos uploaded on it. . . . . Surely, the effort involved in composing a basic search query and scrolling down the page a few times does not exceed the 'reasonable diligence' that the law expects of a hypothetical prior art subject." Following summary judgment of invalidity and an appeal, the court granted defendant's motion for attorney fees under 35 U.S.C. § 285 and found that plaintiff's conduct during prosecution supported a finding that the case was exceptional. "Defendant has not proved that the patents would not have issued but for the withheld data. . . . However, the Court does take note of the withheld data for purposes of the totality-of-the-circumstances inquiry. . . . There is also evidence of intent to deceive the PTO. . . . Even if this did not constitute inequitable conduct, the Court finds that the selective disclosure of data and evasive responses provided to the Examiner are evidence of bad faith leading to a finding that this is an exceptional case. . . . Plaintiff's failure to notify the Examiner that [its expert] was an employee, rather than an independent expert, is an indication that this is an exceptional case, litigated in an unreasonable manner. . . . Presenting the declaration from [its expert] which explicitly contradicted his publications, and the failure to present the [expert's] papers themselves, are evidence of subjective bad faith leading to the conclusion that this is an exceptional case." The court granted defendant's motion to dismiss plaintiffs' patent infringement action for improper venue because defendant did not have a regular and established place of business in the district through its storage units. "⁠[T]he storage units identified by Plaintiffs are likely 'physical places in the district' prong, insofar as they are 'building[s] or part[s] of a building set apart for any purpose.' Plaintiffs also demonstrated that Defendant pays for these storage units, leading to a conclusion that the storage units are 'of the defendant'. . . . The question is whether the storage units are 'location[s] at which one carries on a business.' They are not. While Defendant’s customer service reps may 'typically' retrieve materials from the storage units to visit customers within this District, no 'employee or agent of [Defendant actually] conduct[s] business at' the storage units, whatsoever." The court denied plaintiff's motion to disqualify defense counsel who had previously represented plaintiff for 20 years on intellectual property matters and concurrently represented plaintiff in patent prosecution matters during seven months of the instant case because counsel's misconduct did not taint the underlying trial. "⁠[Counsel] has violated the Connecticut Rules of Professional Conduct. . . . However, not every violation of the Rules of Professional Conduct warrants disqualification. . . . [Plaintiff] has not . . . made any effort to identify any way in which it has been prejudiced or negatively affected by [counsel's] actions, let alone in a way significant enough to taint the integrity of the trial. . . . [T]here is no evidence that [counsel] obtained any confidential information from [plaintiff] in the course of its representation regarding the patent prosecutions. . . . [T]he subject matter of the current litigation is a different patent than those [counsel] prosecuted on behalf of [plaintiff], which representation originated from a joint venture with [defendant]. . . . Any substantive activity in [plaintiff's] patent prosecutions was completed with the issuance of the patents, the last of which occurred . . . over a year before [plaintiff] filed this case. . . . The parties agree that the extent of [counsel's] representation of [plaintiff] during the period of concurrent representation was limited to [plaintiff's] payment of an invoice and [counsel's] payment of a maintenance fee on the patent on [plaintiff's] behalf." The court denied defendant's motion to exclude the testimony of plaintiff's damages expert regarding a reasonable royalty rate because his reliance on an unaccepted proposal was sufficiently reliable. "⁠[The expert] discussed several additional distinguishing characteristics between the contemplated cross-license and the hypothetical license, including that the cross-license was never executed, the negotiation was for a worldwide license, design-around costs, and the possible collaboration between the parties. . . . [Defendant] argues that [his] opinions regarding this contemplated royalty offer should be excluded, because offers -- particularly if never conveyed -- have little value. . . . [A]t the time of this offer, [plaintiff's predecessor] and [a third party] were discussing a cooperation agreement, a situation quite distinct from anticipation of litigation. [Defendant's] criticisms can be adequately addressed through cross-examination and the presentation of competing evidence." The court granted defendant's motion to compel further interrogatory responses regarding conception and reduction to practice. "⁠[Defendant] concedes that [plaintiff] has narrowed the dates (indeed, [plaintiff] has said it will use the filing date for [one patent-in-suit]) but the issue of [plaintiff] citing 'hundreds of documents' with no explanation of their relevance. . . . [Plaintiff] shall prepare a document entitled 'Date of Conception' as to the [other patent-in-suit]. The document shall list the documentary support for its date range and attach the relevant documentation -- limited to 10 documents -- which shall be highlighted. [Plaintiff] shall do the same for 'Reduction to Practice.' These documents will serve as a base line for conception and reduction to practice. Should [plaintiff] choose to amend the dates at some later date, it will have to be based on newly discovered evidence." The court denied a defendant's motion to dismiss plaintiffs' patent infringement action for improper venue because defendant had a regular and established place of business in the district by ratifying its subsidiary's manufacturing and research facility as its own place of business. "⁠[Defendant's] own corporate announcement and reports from San Antonio media reflect that [defendant] announced its move to San Antonio . . . more than 8 years ago. The court concludes that an 8-year presence reflects a regular and established place of business. . . . [W]hatever the lease arrangements are, the court concludes that [defendant] has ratified the San Antonio facility as its place of business. Also, [defendant] represents that it has a place of business in the district, as it lists the San Antonio facility as a place of business on its website, in the telephone and other web-based directories, and has placed its name on a large sign on the exterior of building." The court granted plaintiff's motion to exclude the testimony of defendants' technical expert regarding defendants' enablement and written description theories as irrelevant. "Defendants conclude the claim limitation doesn’t satisfy the written-description or enablement requirements because the reduction can be achieved in more ways than just reducing the thickness of the insulator. But the proper focus is on structure rather than the intended result. [The claim at issue] is directed to a device, and the specification describes an embodiment of that device . . . . While the limitation recites the result of selecting that range, that result is not a structural limitation of the claim. Because his opinion is based on an incorrect interpretation of the limitation, the Court will grant the motion and exclude as irrelevant [the expert's] opinion that the specification does not provide guidance as to how the parasitic capacitance is reduced." The court denied defendant's motion to dismiss plaintiff's willful infringement claims for failing to sufficiently allege egregious conduct through defendant's licensing negotiations. "When considering [plaintiff's] allegations and other facts pled in the Complaint that show that [defendant] knew in detail about how it infringed each Asserted Patent as a whole, a reasonable inference can be drawn that [defendant's] licensing discussions were disingenuous. . . . As such, the Court finds that the Complaint contains sufficient facts from which a plausible conclusion could be reached that [defendant's] conduct went beyond those 'in a typical infringement case' and thus was egregious. . . . [T]o the extent that [defendant] is arguing that the allegations pertaining to the settlement discussions cannot lend any support to [plaintiff's] willful infringement claim at the pleading stage, the Court rejects that argument. Whether [plaintiff] has evidence to prove its claims is a matter for another day." The court granted plaintiff's motion for summary judgment because the asserted claims of its pain treatment patents did not encompass unpatentable subject matter and found that the claims were not directed toward a law of nature. "⁠[Two claims] each recites a 'method of treating pain in a patient having mild or moderate hepatic impairment,' and teaches using a specific extended release formulation of hydrocodone bitartrate that has a particular release profile. Although the inventions recited in those claims were based upon a natural law -- the physiological response to hydrocodone in individuals with or without mild or moderate hepatic impairment -- the claims do more than merely report those physiological responses. Rather . . . the claims asserted in this case describe a specific dosing regimen to treat a specific condition based on the patient’s medical status." Following a jury trial, the court granted plaintiff's motion for judgment as a matter of law because the asserted claims of plaintiff’s labrador retriever genotyping patent encompassed unpatentable subject matter and found that the claims were directed toward a natural phenomenon. "⁠[T]he patent utilizes a number of scientific terms which at first review appear difficult to understand and make the patent appear impressive on its face. However, when the language is explained, the patent simply states that the search for the mutation involves the laboratory examination of Labrador Retriever DNA, which resulted in the discovery of the mutation, which in combination with similar mutations of Labrador Retrievers who mates with a carrier results in offspring having a higher probability of inheriting the mutation. The mutation itself and the fact that it is inherited through male and female dog carriers mating are both natural phenomena." Following a jury trial, the court denied defendant's renewed motion for judgment as a matter of law that plaintiff was not entitled to disgorgement damages under 35 U.S.C. § 289 for infringement of its design patents because plaintiff's software qualified as an article of manufacture. 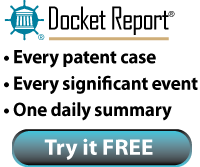 "⁠[Defendant] argues that [plaintiff's patents] claim a 'display screen' as their article of manufacture and, because [defendant] only presented evidence of profits from a software product and not a physical 'display screen,' it cannot recover disgorgement damages. . . . [Defendant] has already admitted that its products . . . infringe the [patents]. Thus, [defendant] has already admitted that there exists an 'article of manufacture' to which the patented designs . . . have been applied. Moreover . . . [s]oftware is 'a thing made by hand or machine,' and thus can be an 'article of manufacture.'" The court granted plaintiff's motion to reconsider an earlier order granting defendant a new damages trial and upon reconsideration reinstated the jury's $75 million verdict because the extensive evidence of unaccused products was not reflected in the verdict. "⁠[Defendant's] complaint is that the damages model 'is flawed' and 'contrary to law' inasmuch as a patentee 'can only receive infringement damages on those devices that actually performed the patented method during the relevant infringement period.' Yet [defendant] was not assessed damages on unaccused products because the jury was instructed that lump sum damages are available only for 'products [plaintiff] has accused in this case.'. . . [Plaintiff] simply populated the 'book of wisdom,' with information about projected sales of both accused and unaccused products. . . . Although [defendant] presented the jury with damages estimates that accounted for future sales of unaccused products, the jury’s $75 million assessment is consistent with the court’s instruction to award damages only for accused products. . . . Thus, while the jury’s assessment includes damages for future sales of accused products, which by definition is what a lump sum payment reflects, the award did not necessarily include damages for future sales of unaccused products." The court granted in part plaintiff's motion to exclude the testimony of defendant's damages expert regarding prior settlement agreements because the expert was not authorized to review one agreement under the protective order. "Plaintiff contends that because [the expert] cannot review the terms of [a settlement agreement], 'he cannot offer any opinion about whether the terms of the [OpenKey] Settlement Agreement are a reliable indicator of a reasonable royalty.' . . . Defendant’s argument that [its damages expert] can determine the circumstances surrounding [a] Settlement Agreement from [plaintiff's damages expert's] report alone is flawed. Plaintiff notes that [its own] expert report does not disclose the full terms or circumstances of the [agreement], and points out that the report states that [plaintiff's expert] was unable to draw any meaningful conclusions from [the agreement] under the Georgia-Pacific analysis. Thus, it seems implausible that [defendant's expert] knew of the circumstances or even the terms of the [agreement]. Since [defendant's expert] cannot review the terms of the [agreement], [he] may not rely on the [agreement] in offering his opinion." The court granted plaintiff's motion for summary judgment that defendant's challenge under 35 U.S.C. § 101 was barred by collateral estoppel because a jury found the patent-in-suit valid in the parties' prior action. "While the Federal Circuit has yet to address squarely whether multiple theories of invalidity constitute 'different' issues for collateral estoppel purposes, the majority of courts that have considered the question view patent validity as a single issue. . . . [E]ven if [Alice Corp. Pty. v. CLS Bank Int’l, 134 S. Ct. 2347 (2014)] had constituted a change in the law, [defendant] does not explain how pre-Alice law would have precluded [it] from bringing a Section 101 defense. . . . There is no evidence that a Section 101 defense was completely unavailable to [defendant] under the framework set out in [Mayo Collaborative Servs. v. Prometheus Labs., Inc., 132 S. Ct. 1282 (2012)], or that such a challenge would have been futile prior to Alice." The court granted plaintiff's motion to disqualify plaintiff's former officer/lead inventor of the patents-in-suit from consulting with defendant on non-confidential matters. "⁠[Defendant] contends that separate and apart from any confidential information he may have received from [plaintiff and its predecessor], [its consultant] has knowledge regarding the background and subject matter of the patents-in-suit that is not confidential. [Defendant] argues it has retained [him] to consult only about these matters, not confidential information or patent strategy. However, [plaintiff] need not show that [its former officer] has been retained to consult regarding [plaintiff's] confidential information or patent strategy, but need only show that he received confidential information 'that is relevant' to the current patent litigation. . . . Given that [the consultant] is an inventor of the technology at issue in this case, it is impractical to expect him to be able to parse 'the specifics of the knowledge [he] gained while working at [plaintiff's predecessor] and his knowledge generally.'" The court granted defendants' motion to transfer for improper venue because one subsidiary defendant's contacts with the district were insufficient to establish a regular and established place of business in the district for another subsidiary defendant. "Defendants concede that [one defendant] has a place of business in this district in the form of a retail store. . . . Defendants dispute some of [plaintiff's] allegations, but even if the court assumes that all of them are true, they show only that defendants are both subsidiaries of the same parent company and that they collaborate on matters common to both of them. That’s not sufficient to treat defendants as interchangeable for the purpose of determining whether each has a place of business in this district. . . . Because there is no authority for the view that venue is proper as to one corporation simply because that corporation 'works closely' with another corporation that may be sued in that district, [plaintiff] has failed to meet its burden to show that venue is proper in this district." The court granted in part defendant's motion to strike portions of the report of plaintiff's technical expert for applying improper legal principles. "The asserted claims require that each created reprogrammable communication protocol 'includes a command code set. . . .' The parties dispute the meaning of 'includes.' When asked whether a communication protocol that did not include a command code set would satisfy this claim limitation, [the expert] responded, '⁠[I]t’s a question of whether it’s capable of including a command code set that defines those signals to -- you have to have -- it needs to be capable.' That’s not the question. The plain and ordinary meaning of the phrase requires more than a mere capability that the communication protocols include a command code set: It requires actual inclusion. Accordingly, the Court will preclude [the expert] from advancing any argument that, with respect to this limitation, mere capability of inclusion is sufficient." The court denied plaintiff's motion to strike defendant's expert report from a law professor, but allowed plaintiff to file an early Daubert motion. "Plaintiff, mindful that such reports have about as much chance of seeing the light of day as the Washington Generals did of beating the Globetrotters, wants to quash it now. Defendant points out that the usual procedure is to dispose of such issues by means of a Daubert motion. Plaintiff wants to resolve the matter through the more expeditious and less expensive discovery dispute procedure. Unfortunately, it really is not a discovery dispute. In order to avoid unnecessary expense, however, I will permit Plaintiff to file a Daubert motion now. . . . If the Generals win, I will then permit Plaintiff to file an expert report from a law professor in reply." The court denied plaintiff's motion to compel production of the entire source code for two of defendant's operating systems because plaintiff failed to establish that the additional code was relevant and proportional to the needs of the case. "⁠[Plaintiff] asks that [defendant] produce the entire source code for the iPhone/iPad’s and [Apple] Watch’s operating systems (iOS and watchOS, respectively). . . . [Plaintiff's] claims relate solely to the [patent-in-suit], a patent for a step counter. Apple iPhones, iPads, and Watches encompass hundreds or thousands of features wholly unrelated to those claims. . . . [Plaintiff] intimates that the way a code review 'usually' works is that the inspecting party’s code expert may 'look at whatever he thinks relevant.' [Plaintiff] cites no authorities for this proposition. . . . If [plaintiff] believes those particular code files are relevant and that [defendant] should produce them, and if [defendant] disagrees, the parties must meet and confer in good faith to try to resolve the dispute. . . . But [plaintiff] may not circumvent this procedure and demand that [defendant] produce all of its [operating system] source code so that [plaintiff] can 'paw through [defendant]’s source code without limitation.'"